I’d like to send out a BIG THANKS to all of you. You’re all visiting Wifey Wednesdays and sharing and I’m THRILLED! In their post, Ryan and Selena talk about the 5 Love Languages and how to ‘speak’ each language. It’s a great post; check it out here. Have you heard about these 5 Love Languages as defined by Gary Chapman? I had heard of them. The pastor of our former church gave many talks about them, integrated them into other talks, and really used them as a way of teaching about love. So I wasn’t surprised to see them show up on Pinterest when I searched relationships. There ya have it. 5 Love Languages, but what does that mean? How do I know what is what and when to speak the language? When I saw this pin I was pretty sure I knew my Mr. Right’s love language or at least his top 2. I was also pretty sure I knew what mine were in order from least to greatest. The post from Ryan and Selena had the link to take the 5 Languages quiz, so I took it and then emailed the link to Mr. Right; he took it, and emailed me his results. UH OH! His lowest scoring, least important language was my number 1!! How does that work? What do you do when the thing you need the most to feel loved is at the bottom of your spouses totem pole? I’m going to go out on a limb here in saying I do a damn fine job of speaking Mr. Right’s languages of love, well, most of the time. It’s easy to talk the talk when somethings coming back your direction. When you do it and do it and get nothing in return, that’s when problems of consistency begin to take root. When bitterness and resentment begin taking hold of you. Mr. Right’s very last language, the one least important to him, just happens to be the one that speaks love to me the most; it’s a constant battle to not desire that language from him. He isn’t very good at speaking my language right now, but we’re working on it together. That’s the key, working on it together. Not withdrawing, not distancing yourself, but sticking with it, together! Having my first love language be his last means he doesn’t often think about that language. It isn’t that he doesn’t love me, it’s just not a natural go to response for him because it isn’t something he desires or needs to feel loved. That’s a really difficult thing to do. Does that make sense? Yes, I think it does. I hope it does. Taking the quiz gave me a great jumping off point even though I knew Mr. Right’s languages. It allowed me to see where I need to be focusing my attentions in order to make him feel most loved. His language isn’t natural to me. It isn’t something I need to feel loved, but his love language isn’t about me, it’s about HIM. Here’s what I’m doing to become better at speaking his language. 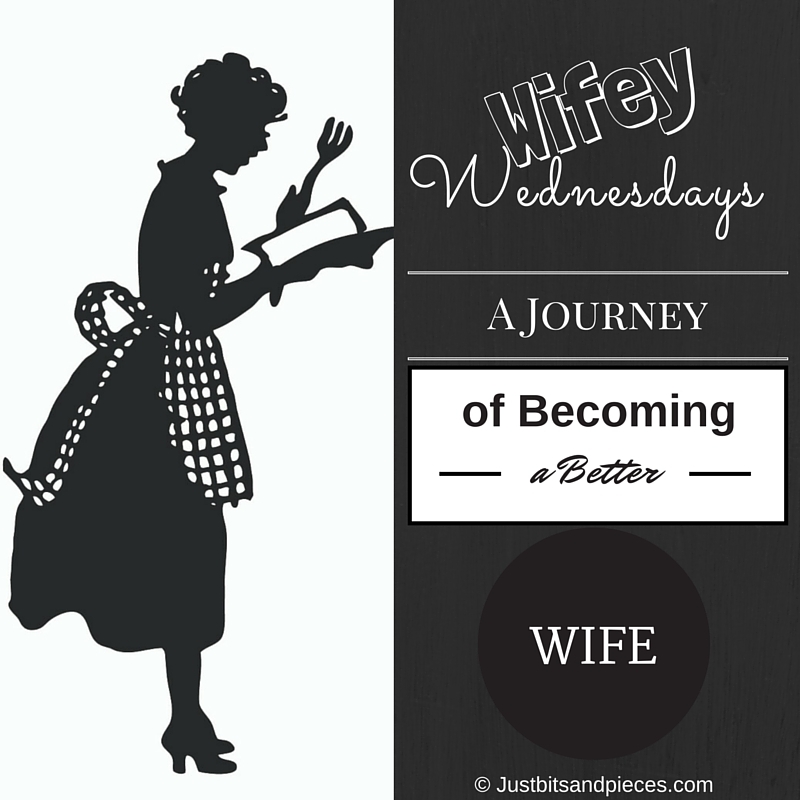 Ya know, I notice many of the things we talk about here at Wifey Wednesdays seems to simple. I mean they aren’t really all that difficult, but what they are is NOT EASY. But Not Easy. It’s not easy to do it without expectations; it’s not easy to do it consistently and regularly enough for it to make a difference; It’s not easy to stop doing what makes me feel loved and start doing what makes him feel loved. What are some ways you express love to your spouse? Totally love this, I took this test and affirmation is my language. 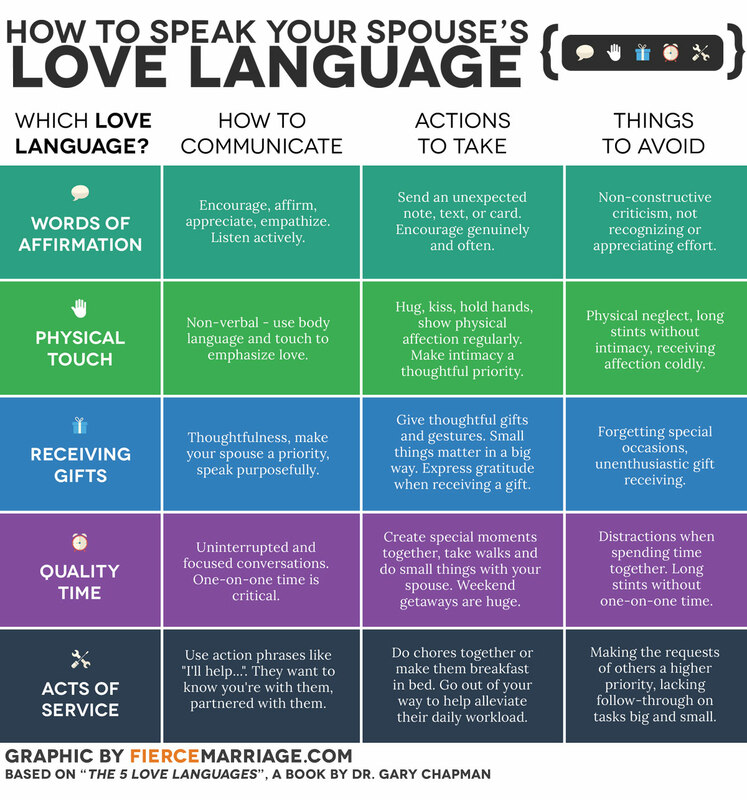 I’m so happy that you are informing wives out there that we all speak different languages of love. Affirmations is a love language I think a lot of folks have. I’m glad you enjoyed my post, that’s always nice to hear!! Thanks for the affirmation!